Begin your adventurous journey by driving yourself to Khalsar from leh through the highest road in the world crossing Khardong-la (5540m). In khalsar, you can visit the gompa monastery. 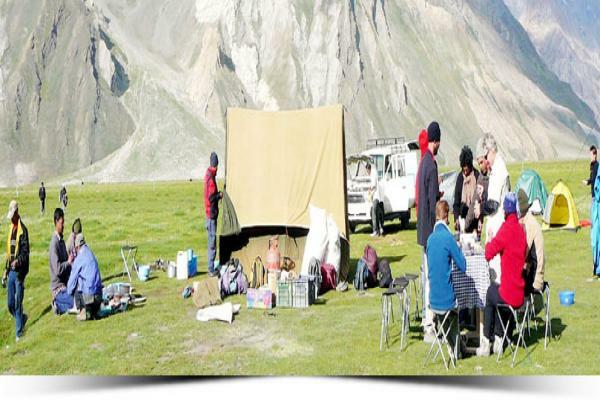 Now leave khalsar to visit the next site –Panamik ,situated at the bank of Nubra river. Panamik is also known as pinchimink located at the 22km above the valley of sumur. Here you can visit the 250 year old gompa- Samoor Gompa. Nubra valley –the valley of flowers is the best place to utilize your time.Apart from this shopping is also a good option. Drive back to Tirit village - a centre of Handicrafts, Wool and Jewellery.